Well, first thing’s first – awesome decision guys! 24 days in New Zealand is a great amount of time getting to know our little Islands and to fully immerse yourself into the kiwi way of life. With just over 3 weeks to explore the North and South Island, we have put together an itinerary to try and help guide you to some of the best and some of the most quirky experiences our islands have to offer. Some we will have missed and if you come across any, be sure to hop on our Facebook page and let us know – we can add them in for future explorers. But for now, let’s get you started on your epic kiwi adventure and see where it takes us. It’s time to GO! Known as the City of Sails or the Big Little City, Auckland is New Zealand’s largest city with 1.3 million people calling it home. The renowned Mercer Quality of Living Survey ranked it the 3rd best city in the world to live and even the prestigious New York Times has named it one of the “hippest” cities in the world. Home to the largest Polynesian population in the world, 1.3 million people can’t be wrong, right? The excitement of picking up your new rental car might tempt you to head out of the city and explore the open roads of the island. Don’t make that mistake. Auckland is not your average city and there’s plenty to see before you get on your way. The city is the perfect mix of the natural beauty the country is famous for and a hip modern cosmopolitan urban area. Whether you’re looking to wander through luscious bush in the Waitakere Ranges or explore the wild west coast beaches such as Piha or Muriwai, there is something for everyone in the Big Little City. It’s also a geology-lover’s paradise, with over 50 extinct or dormant volcanoes to explore. Climb to the top of the tallest of them all, Mount Eden, for the best view of the city, or take the short ferry ride across the harbour to Rangitoto, the youngest of them all. Whichever you choose to visit, it’s sure to be an unforgettable experience. If you’re looking for some real adventure, our GO Play partner Auckland Seaplanes offer 5% discount on scenic flights over Rangitoto. Go on, splash out, you’re on holiday! We have only just scratched the surface here of all the cool things to do in Auckland so make sure you check out our Auckland and around guide for more awesome hints and tips. Once you’ve explored the Big Little City, it’s time to head North for a tour around the tropical North – make sure you pack the sun block – it can get a bit warm up in Northland! After a day soaking up the city life in Auckland, it’s time to hit the road as our trip takes us north of Auckland up to the Bay of Islands. This is one of the great Kiwi road trips and a favourite amongst those who live in New Zealand’s busiest city. This is your first trip out in your GO Rentals hire car but as much as you love the driving, make sure you take some regular pit stops along the way as there is plenty to see and do on the drive north. As SH1 comes to an end in the typical sense of a highway and moves to predominantly a single lane road all the way north, you’ll come across the quaint little village of Puhoi. If cheese is your thing, the Puhoi Valley Café and Cheese Store is well worth a stop off to stock up. They do a delicious blue cheese as well as more traditional cheese varieties that you’ll struggle to find in the supermarkets. The next stage of your journey north does not provide much in terms of interesting stops as you pass through commercial hubs like Warkworth and Whangarei. Kawakawa however is worth a quick stop off and for the most unusual reason – the public toilets! Designed by renowned Austrian artist Friendensreich Hundertwasser, the toilets are an artistic marvel! From Kawakawa it’s only a short drive to your final destination of Paihia, gateway to the Bay of Islands. Hopefully you’ll have arrived in plenty of time to get your bearings and maybe book yourself onto a trip for the following day. The best way to explore the Bay of Islands is undoubtedly on the water so check out your options and get yourself booked on an excursion. Bay of Islands cruise – there are many companies offering a cruise round the harbour including Fullers and the Explore Group. Trips will take you out dolphin watching and to famous landmarks like the Hole in the Rock. 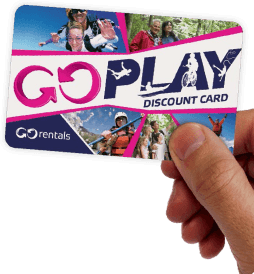 Great news for you guys is that Bay of Islands Cruise offer a 15% discount when you present your shiny GO Play card so make sure you take advantage and head out onto the water. Russell – for a more sedate day, why not catch the ferry across to Russell (20 minutes) and wander the Olde Worlde streets. There are some lovely cafes and restaurants on the sea front where you can easily spend a few hours people watching. The Duke of Marlborough is a particular favourite of the GO Rentals team. Waitangi Treaty Grounds – New Zealand’s premier historic site where the Treaty of Waitangi was signed in 1840 – a partnership between Maori and the British Crown and the founding document of New Zealand. Visit the treaty house and take a look at the world’s largest ceremonial war canoe. It’s been an epic day of driving but hopefully you will have had a blast. It’s another couple of hours back to Paihia where you’ll be in need of a well-deserved feed and a glass of wine watching the sunset. Instead of heading back to Auckland the direct route, we highly recommend a detour on your way back to check out the Kauri forest at Waipoua. Here you will find the best preserved and largest of the remaining Kauri forests in New Zealand. Among them is the legendary Tane Mahuta, the ‘Lord of the Forest’ who at 51.5 metres is the largest (by volume) of these ancient trees. It’s another 232kms back to Auckland which will take you just over 3 hours so it’s time for a night off and a chance to recharge those batteries. After a couple of days up in the Bay of Islands, it’s time to start heading South on your kiwi adventure. We know it’s only been half an hour since you left Auckland but it’s already time for the best kind of stop – an ice cream pit stop. The Pokeno store is renowned for the biggest ice creams in the country. Pokeno Takeaways, on Great South Road, will sell you a 15-scoop ice cream (yes, you read that right). Treat yourself. It’s not exactly on the way but it’s well worth the detour and you’ll get some of the most stunning coastline photos on your side trip up the Coromandel Peninsula. Make sure your camera is well charged and stop at the Coromandel Township for a glimpse into life in small town New Zealand. The town has a laid back feel to it so take the Kiwi approach and don’t rush around – it’s time to take a more laid back approach to this road trip! Enjoy the atmosphere, as well as the numerous artisan centres spread around the place where you can take your pick at different workshops and pick up some beautifully handcrafted pottery, wood carving or painting. Before you head off, stop by the Coromandel Museum and learn a little about the town’s gold mining and Kauri history, both of which have shaped the region into what it is today. One of the more famous and most visited beaches in these parts is at Cathedral Cove. There are a number of tour operators who will take you on a guided tour out to visit the sea caves and check out the towering cliffs of the Te-Whanganui-A-Hei Marine Reserve. Paeroa will be your next stop after the walk. There isn’t much to this small town but it’s known for being the birthplace of L&P, the iconic kiwi drink that is “world famous in New Zealand”. This soft drink was originally produced using lemon and mineral water from Paeroa (hence L&P). The giant L&P bottle landmark is a mandatory photo stop for any self-respecting tourist so make sure you strike a pose in front of it too – make sure you send your photo in to our GO Snap Happy collection on the GO Rentals website for your chance to win back the cost of your rental – can’t say fairer than that! For stunning examples of Maori culture that you’ll not find anywhere, pay a visit to Te Puia (about five minutes from the centre of town). After a full day relaxing, it’s time to get your skates on and head on over east side to Napier – the wine growing heart of the North Island and a placed where sunshine is usually the order of the day. So, this is your penultimate day in the North Island but there’s still time to fit in some morning activities before heading to Wellington to spend your last day before catching the InterIslander Ferry to the South Island to start the next stage of your epic kiwi adventure. It’s been quite the journey but here we are – New Zealand’s capital. Wellington is small but has no shortage of things to see. Head for the CBD, park your rental car and wander around the small streets. Grab a coffee (Wellington claims to have the best coffee in New Zealand so check for yourself), visit the cool one-of-a-kind stores along Manners Mall and Cuba Street. When you’re on that street, notice the cool Bucket Fountain that doesn’t actually work the way it’s supposed to (take a close look at it and you’ll see the water doesn’t actually obey the easy bucket system and sometimes misses the buckets altogether). A visit to Archives New Zealand, on 10 Mulgrave Street, allows you to see the Treaty of Waitangi (the document that is considered the foundation of the country). You can also take a tour of the Beehive, the country’s parliament, if you’re feeling politically-inclined, before taking a stroll along the waterfront, decorated with interesting sculptures and populated by numerous bars (including some decent craft beer spots). Before you head off to catch your ferry to the South Island, we suggest you park on Wexford Road, on the north-eastern side of the airport. On a typical windy Wellington day, you’ll have the chance to see what you escaped from, making the very wise decision to drive down from Auckland. Planes taking off and landing in Wellington often sway a little more than they should – a little scary for passengers on the plane, a bit of fun for you safely watching from the comfort of your rental car on safe ground. The lighthouse was made in Bath (England) and shipped in parts to New Zealand, then assembled in 1861. You can access the bank by turning off SH6 and driving along Boulder Bank Drive, 7km north of Nelson. The Wainui Falls are located inside the Abel Tasman National Park and are 20 metre waterfalls, a welcome reward at the end of an easy bush walk. The hike takes about one hour (return). After a day exploring in the Able Tasman National Park, it’s time to hit the road. The first stop of the day is not too far away however as you head out on SH6 towards the west coast. Heading out of Mapua keep following SH6 heading towards the west coast. After a relatively short drive there’s another chance to stretch the legs and get the adrenaline pumping at the Buller Gorge Swing Bridge. 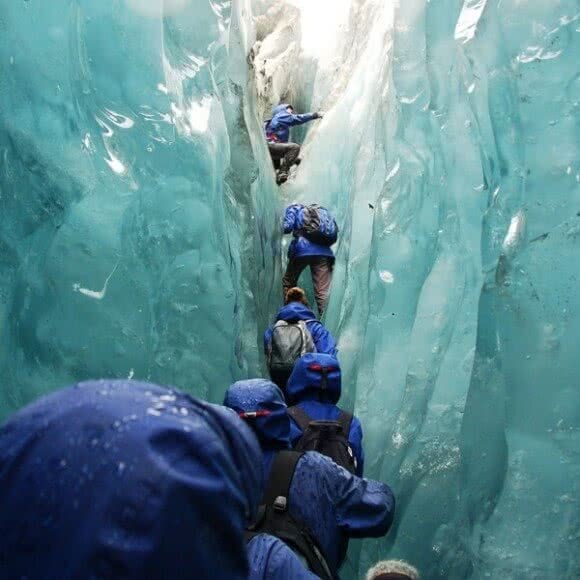 From big thrills to big spills to serene walks, Buller Gorge offers some of the best adventure activities this side of Queenstown. From the comet line, a 160m flying fox zip line to jet boating on the Upper Buller Gorge with GO Play partner Ultimate Descents, there’s plenty to keep the most adventurous happy. If you’re of a less adventurous disposition the Buller Gorge is also a great place to explore on foot with some lovely trails and falls to discover. As you head out of Franz Josef, one stop that cannot be missed is a detour to Lake Matheson. If you’re looking for the photo to put on Facebook to make all your friends jealous, then this is it. Take the road west at the popular Fox Glacier township and you’ll be rewarded with views that take your breath away and make you question why you ever want to go back to whatever it is you do when you are not touring round NZ’s south island. There’s so much to see and do around Queenstown that it’s worth staying the extra day and exploring either on foot or taking the car for a run out. Unlike Bendigo, small Arrowtown is far from abandoned. The small historic village, a short 20-minute drive from Queenstown, is bursting with activity and includes a collection of beautiful old heritage buildings and miners’ cottages. The beauty of Arrowtown is that the heritage buildings are more than mere monuments of a time gone past – they’re still used for commerce and you get to experience life before the modern days. A number of hiking tracks start and end at Arrowtown so, if you feel like a walk, head to the Information Centre to find out more about these tracks. Described by Rudyard Kipling as the eighth wonder of the world, Milford Sound is THE MUST DO for anyone visiting the South Island. A great chance to give the GO Rentals hire car another run out, the 4+ hour drive from Queenstown is well worth the early start to check out the magnificence of this most spectacular fjord carved out by glaciers during the ice age (that’s a long time ago by the way!). For those wanting a more hands on experience of Milford Sound, why not give kayaking a go. There’s nothing quite like taking to the open water and paddling yourself out into one of the most inspiring places on planet earth. Real Journeys offer a 4-5 hour trip out on to the water taking in the serene Harrisons Cove and the magnificent Mitre Peak offering some spectacular views up to the Pembroke Glaciers. If you don’t fancy the drive down to Milford (it can be a very long day), GO Play partner Real Journeys offer a bus and fiord cruise trip which will take you from Queenstown to Milford and includes a boat cruise. Oh yeah, they will also give you a 10% discount. Awesome. Make sure you leave enough time for the journey to and from Milford Sound – there are a lot of tour buses leaving Queenstown each day making the road extremely busy so drive carefully. Although it’s a relatively short drive from Queenstown to Lake Tekapo, we recommend booking yourself in for a stopover so you can truly make the most of the unspoilt views at night time. Lake Tekapo and Mt John are located about 3.5 hours’ drive north of Queenstown. As your South Island adventure winds to an end, there are still plenty of things to be excited about as you head towards the South Island’s largest city. Although you have arrived in Christchurch, your end stop off for this journey around the South Island, don’t be too hasty to drop your GO Rentals hire car back off just yet – you must have become quite attached by now! Take the time on your first day to explore the ‘Garden City’ but there is another short trip to make on Day 23 which is well worth the extra road trip. Christchurch has unfortunately made headlines in recent times for a string of earthquakes that caused serious damage to the city – but its charm remains untouched and the city is rebuilding. The tree-lined Avon River and Christchurch’s many parks and gardens give the city its reputation as the Garden City so make sure you check out the botanical gardens and the beautiful parks. Check out the several Gap Filler projects that volunteers have created to temporarily “activate” sites left empty by the earthquakes – you’ll be able to see some unique and really creative work that is proof of Christchurch’s charm and resilience. After an afternoon and evening spent in Christchurch, it’s time to take the car out for one last trip as you head north up SH1 to Kaikoura. Although this is a 2.5 hour trip up north, we reckon it’s well worth the extra miles for an amazing opportunity to swim with dolphins or maybe sample some of the delights of the South Island’s world famous wines. 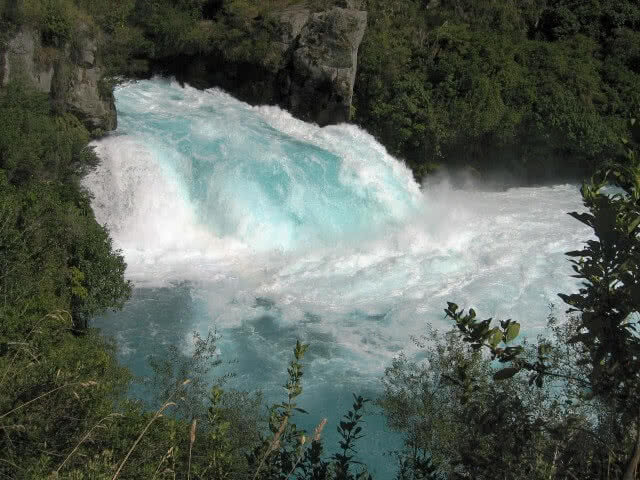 As you head down from the magnificent wine tasting region of Marlborough you will hit Kaikoura. 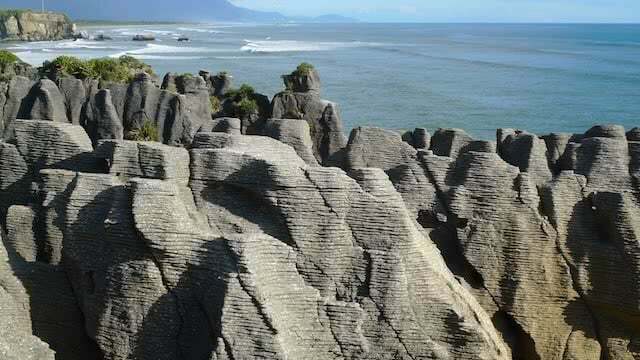 This is one of New Zealand’s best locations for seeing marine life including whales and dolphins. It is also the home to the Cellar View Cafe and Restaurant. This place serves up some pretty amazing dishes matched only by the stunning views out to the pacific. It’s easy to let an afternoon drift by, enjoying the delicious food and admiring the endless view. Nice. If you didn’t get chance in Akaroa, Kaikoura is also a top place to go for swimming with dolphins so, if that’s always been on your bucket list, it’s time to tick it off. GO Play partner Encounter Kaikoura offers a brilliant opportunity to get in the water in the south Pacific and swim with these amazing animals. Tours operate three times a day and hopefully your 12 day itinerary will allow you to stay over for the night so you can enjoy the wine without having to worry about a drive back to Christchurch. After a great night in Kaikoura (and hopefully some delicious seafood – the crayfish are a GO Rentals favourite), it’s time to hit the road for the last time and head back down to Christchurch to drop off the car and head to the airport. Depending on how early you are up and out, there’s a lot of things still to do in and around Christchurch so be sure to check out our City guide and get involved before you have to head off to the airport.